A classic in the Cressi range that remains on the market since 1993 and has a huge number of fans in every corner of the planet. The fin is made in a wide choice of a robust polymer and a soft elastomer, the latter used for accommodating the foot, the lateral ribs and some inserts. 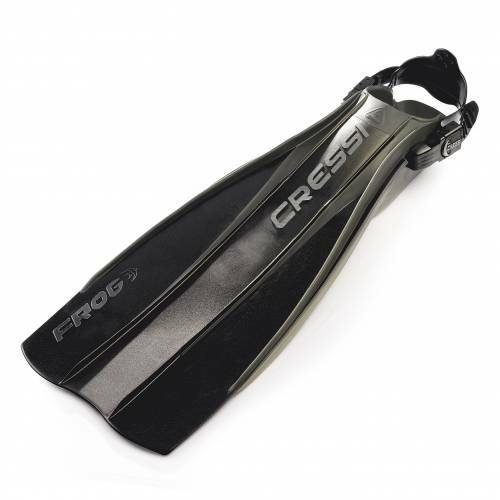 Frog was the first model to use the design Cressi "foot pocket under the shovel" shovel stems directly from the top of the shoe, firmly attaching the fin to foot and transmitting all the effort generated by flapping without energy losses through soft areas. This format allows channel water from the same ankle to the trailing edge of the blade, unlike traditional models, in which the foot pocket has no input on progress. 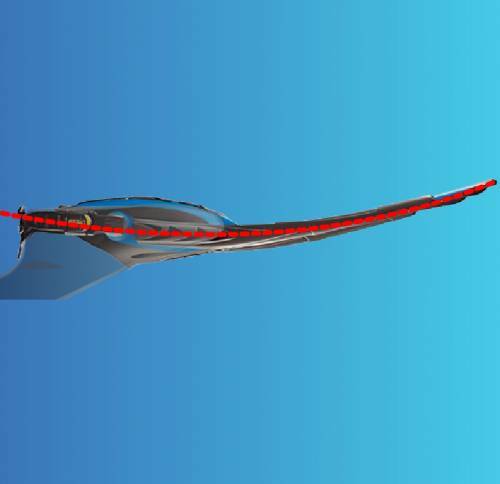 Besides improving the directionality of flapping, this design provides a performance between 10% and 15% higher than would correspond to the fin blade surface. The foot, designed by computer, is particularly comfortable and ensures optimum transmission of leg / fin effort. Frog has a higher weight compared to equivalent Cressi models of latest design, but this feature gives you a special acceptance for use with dry suits or combinations of thickness remarkable given its great power stroke. It is a very popular fin for professional work because of its robustness and comfort, even after hours of use, as well as dive centers, who value his versatility and virtually infinite duration.